One of our all-time leading sellers The Fabulous Praying Cowboy At The Cross. 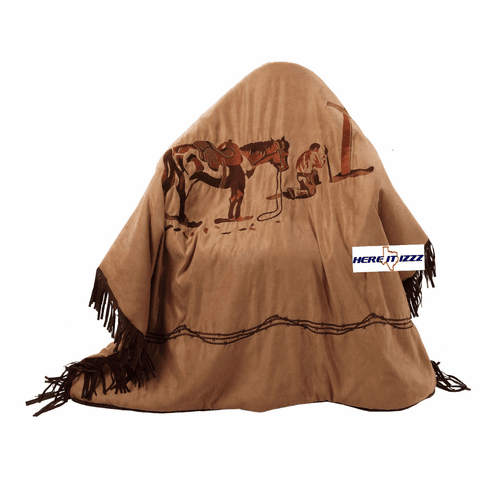 Super soft plush design Western blanket is fully embroidered with the famous Cowboy At The Cross. Along with this faithful horse the praying cowboy kneeling at the cross is remarkably famous and popular. These make wonderful gifts and are very unique.